Koreans like to look younger than they actually are. They are always striving for the “dong-an” baby face. That doesn’t sound uncommon, right…aiming for a more fresh-faced appearance? Well, Koreans take that goal to another level by playing up their “aegyo-sal”, which loosely translates into “cute baby eye fat” and “eye smiles.” I prefer the term that I saw in one article: “under eye bulge”. I guess enhancing your aegyo-sal is supposed to make you look cuter? 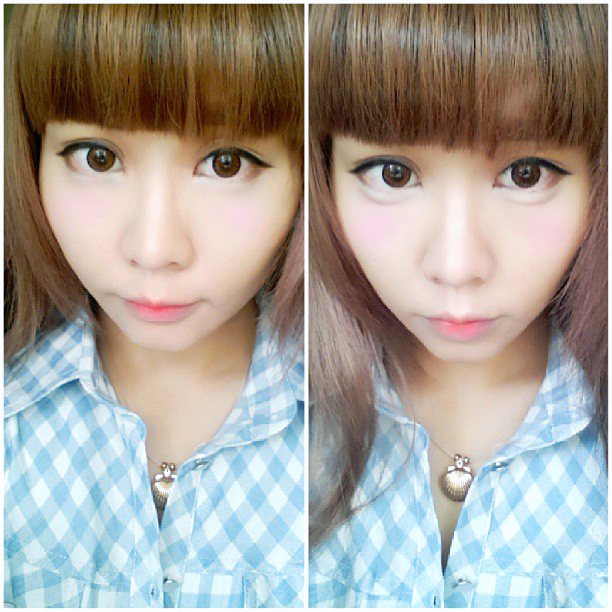 Here is a picture without and with aegyo-sal. Can you tell the difference? Even beauty blogger Sumi Bunny got into the trend. 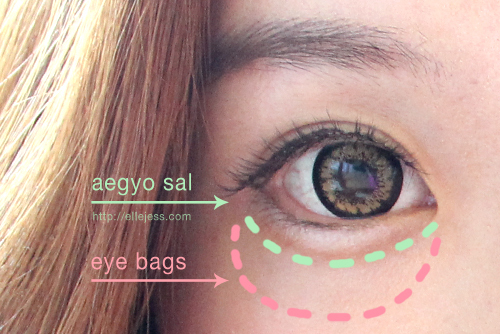 Now, just so you know, there is a difference between aegyo-sal and just…eye bags. Confusing since those terms often seem to be used interchangeably. Don’t be accentuating those eye bags, girl! Blogger Elle Jess has a crazy easy makeup tutorial in her post here. 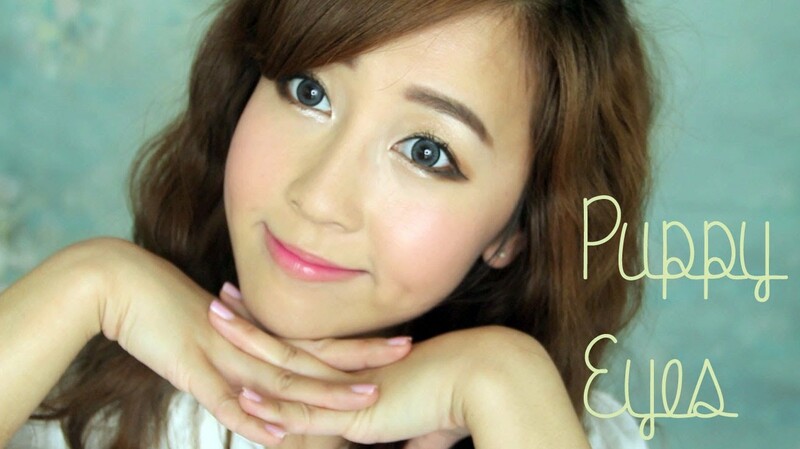 YouTube makeup guru Michelle Phan uses powder in this video tutorial. 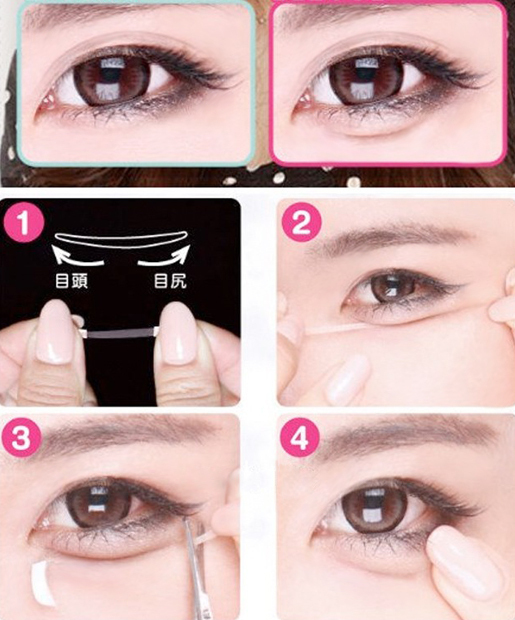 There’s also an aegyo-sal tape you can use to lift up your under eye fat. And of course, surgery is also an option. 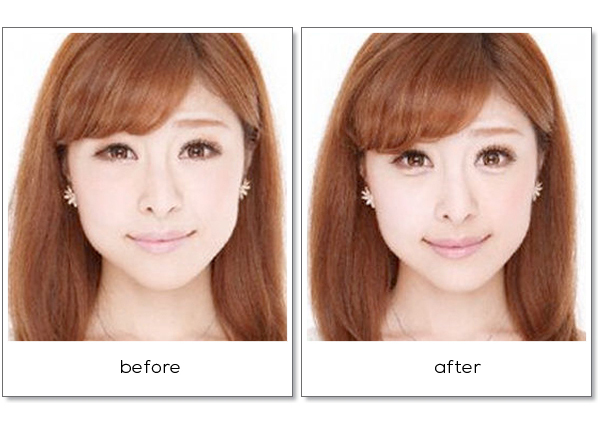 Women get fillers under the eyes to create aegyo-sal. Hey, don’t forget to visit the K-Pop Eye Bag Appreciation Club! Yes, this exists. 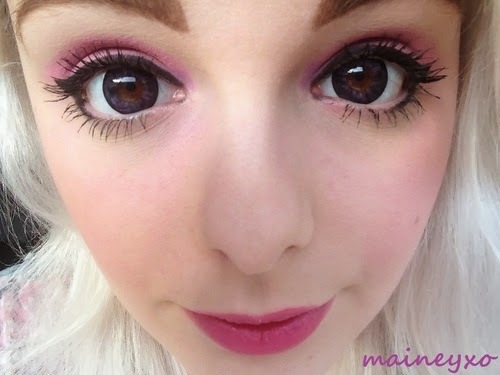 Besides having “baby eye fat”, another trend contributing to the cutesy look is wearing circle lenses. 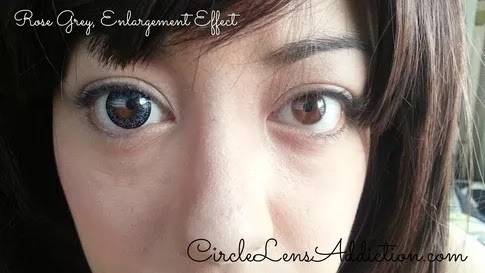 Circle lenses are non-corrective, cosmetic lenses that make the appearance of your irises bigger. 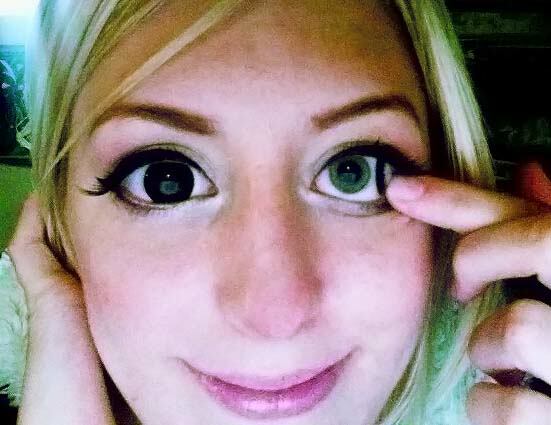 It results in having eyes that look like they belong to a doe or anime character. You have probably seen these lenses on people. However, you probably just thought there was something off about their eyes, and you couldn’t quite put your finger on it. Here is a guide to where to shop for these lenses. 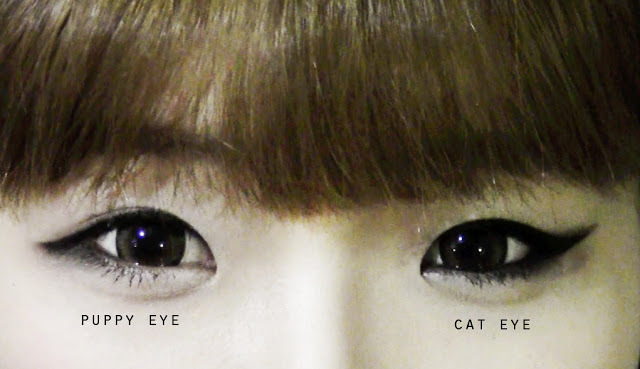 Instead of cat eyes, a Korean trend is to do “puppy eyes”. You line the eyes downward instead of an upward flick to lengthen the eyes for a more wholesome look. The droopiness effect on the eyes is also supposed to mimic the cute, forlorn expression of a puppy. Sure enough, “mul-gwang” is a desired look that involves a dewey, almost wet finish to your face. What do you think? Would you try any of these Korean/Asian beauty trends? 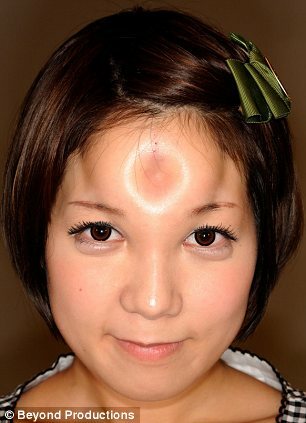 I’m sure you guys don’t mind me going into the 2012 Japanese silicone bagel head craze. That…was a weird one. You can read more about it here. Written by: Erica Cho on July 2, 2015.